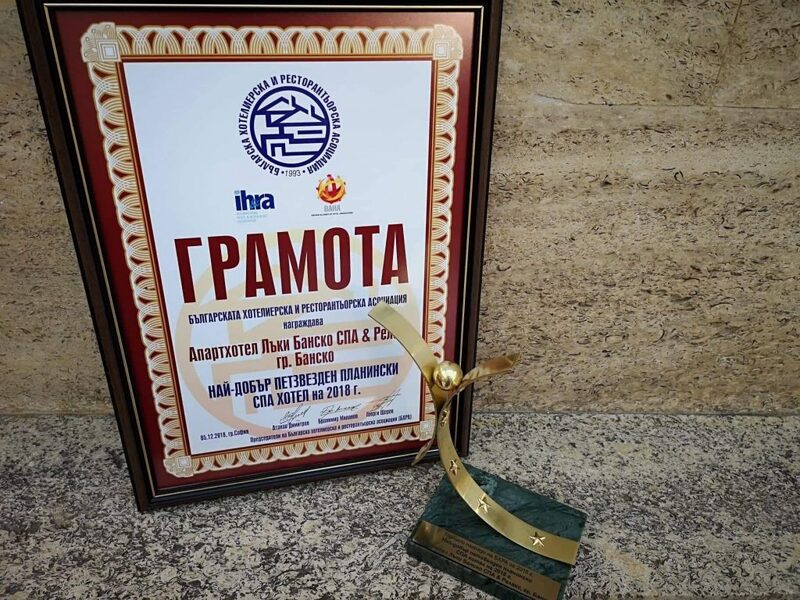 We have the pleasure to share our pride and satisfaction of yet another award, received by aparthotel Lucky Bansko SPA & Relax! 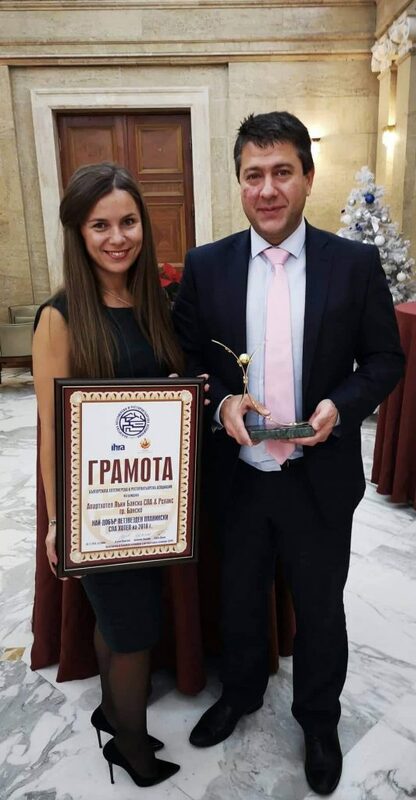 The Best five-star mountain SPA hotel for 2018 prize was awarded to the hotel manager Mr. Kalin Genev and the marketing manager Mrs. Zhenya Strahinova, on a special ceremony, organized by the prestigious Bulgarian Hotel and Restaurant Association (BHRA). The ceremony was held on 5 December 2018. 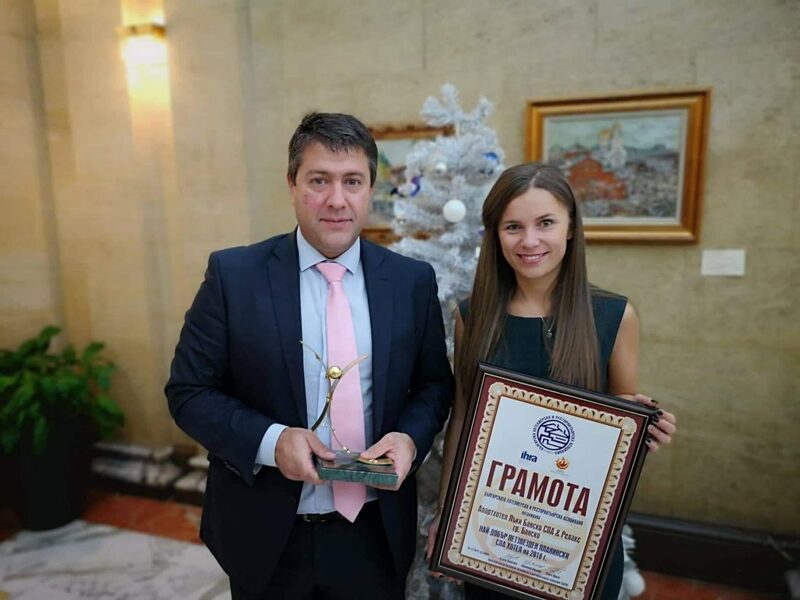 Lucky Bansko Spa & Relax competed in the “heavy” category of 5-star hotels and deservedly won the first place as the top SPA hotel for 2018.